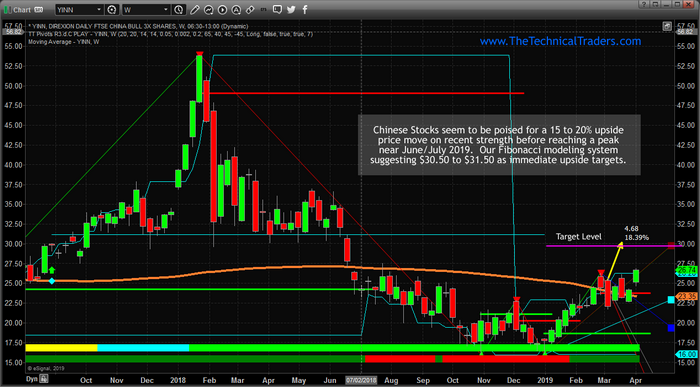 Watch For +15% Move In Chinese Stocks - Technical Traders Ltd. - Investment Strategies, Analysis & Intelligence for Seasoned Investors. Please visit www.TheTechnicalTraders.com to learn more about how we help our members learn to find and execute incredible trading opportunities. We've recently launched a new technology solution for our members that delivers our incredible research and trading solutions. 2019 is going to continue to be an incredible year for skilled traders or those who follow our analysis – you won't want to miss these big moves that are setting up. Be Careful What You Wish For part2?